Most of the Wisconsin Pools supply both open lanes for independent swimming and also guided activities like water aerobics or Aquabike. 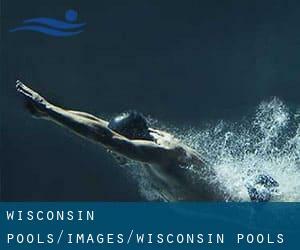 Swimia.com has essentially the most up-to-date database on the internet about almost any Wisconsin Pool. Classified by countries, regions and cities, it really is painless to find the nearest pool at the locations you visit. For Wisconsin, you could have a look at the pools we have gathered for you. Are you on holiday and want to keep fit and healthful? Swimia.com provides you the easy and quickest technique to acquire Aquagym in Wisconsin near your current location. Please contact the sports center in Wisconsin to check which activities are becoming provided and their timetables, since Wisconsin Pools might have different rules and fares than other locations. The best selection during your visit to Wisconsin will probably be droping by a Wisconsin Pool. We probably don't know all the Pools in Wisconsin. Are you missing any? Contact us!. Enjoy the best indoor pools in Wisconsin and don't worry about the weather. These facilities are open all seasons and you can enjoy a swim at the same temperature every day of the year. There are several reasons why you'll want to choose a heated swimming pool in Wisconsin. Essentially the most necessary one relies on the significance of keeping the body temperature stable. If the water is too cold, your body will try to warm it up and you will lose strength to swim appropriately. If you're tired of possessing eyes and irritated skin, finding a saltwater pool in Wisconsin may be the remedy. You should know that the level of salt from these pools is effectively below the level of salt from sea water, particularly they're talking about a tenth or less. One of the benefits of outdoor swimming in Wisconsin is the possibility to sunbathe during the summer season. Taking it with added care, sunbathing is healthy given that introduces Vitamin D into the body, so the most beneficial alternative seems to be switching amongst indoor and outdoor pools based on the season. There are a number of alternative treatment options to chlorination, with fantastic advantages that ensure superior water quality in the pool. One possibility may be the mineralizer, which purifies water naturally and significantly decreases the chemicals made use of and maintenance time. Try Chlorine Free pools in Wisconsin. Swimming is really a excellent idea to help keep your body active throughout your visit to Kenosha (Wisconsin), or even if you are a local. Swimia assists you to find your closest Swimming Pool in Kenosha. It's difficult to visit Wisconsin without having dropping by Green Bay (with 104.057 residents). At present Swimia is showing you all of the Swimming Pool in Green Bay as well as the closest pools located in its vicinity. Let us tell you a secret to switch off while you will be in Madison: just choose a Pool in Madison and plunge into the water! There's no more beneficial method. Without a shadow of a doubt, swimming in Appleton is the perfect method to unwind after work. 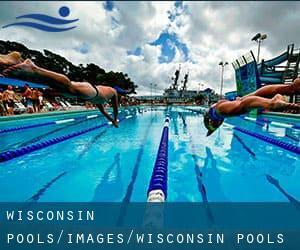 Take a couple of minutes to browse Swimia's catalog to find a Pool in Appleton. Whereas Milwaukee is among the six most populous cities in Wisconsin with almost 594.833 residents, you shouldn't miss that one if you're going to Wisconsin. Updated on 2019 507 East 1st Avenue , Stanley , WI , USA (Postal Code: 54768). Swimmers like you reported 25 meters x 70 feet, 6 lanes, 3.5 feet - 12.5 feet depth, Indoors. Unfortunately we do not have the email address of this Swimming Pool, but we can give you the phone number. Updated on 2019 16900 W. Gebhardt Rd. , Brookfield , WI , USA (Postal Code: 53005). Among all of the activities provided by the center, for anybody who is thinking about swimming you will enjoy 25 yards, 2-3 lanes, Indoors. Just in case you need to make contact with this Swimming Pool before dropping by, we only know the phone number. Updated on 2019 812 Broughton Dr. , Sheboygan , WI , USA (Postal Code: 53081). Among all of the activities offered by the center, for anybody who is interested in swimming you will appreciate 25 meters, 6 lanes, Indoors. Just in case you want to get in touch with this Swimming Pool before dropping by, we only know the phone number. Updated on 2019 90 W. 2nd St. , Fond du Lac , WI , USA (Postal Code: 54935). Swimmers like you reported 25 yards x 25 feet, Indoors. Unfortunately we do not have the e-mail address of this Swimming Pool, but we can provide you with the phone number. Updated on 2019 1237 N. Van Buren , Milwaukee , WI , USA (Postal Code: 53217). Among all of the activities offered by the center, when you are interested in swimming you'll enjoy 20 yards, Indoors. Just in case you need to make contact with this Swimming Pool before dropping by, we only know the phone number. Updated on 2019 312 W Panther Drive , Ellsworth , WI , USA (Postal Code: 54014). Among all the activities offered by the center, if you are interested in swimming you will take pleasure in 25 meters, Indoor/Outdoor. Just in case you want to make contact with this Pool before dropping by, we only know the phone number. Updated on 2019 211 Wisconsin River Dr. , Port Edwards , WI , USA (Postal Code: 54469). Among all of the activities offered by the center, when you are considering swimming you are going to enjoy 25 yards, 4 lanes, Indoors. Just in case you want to make contact with this Swimming Pool before dropping by, we only know the phone number. Updated on 2019 410 West McMillan Street , Marshfield , WI , USA (Postal Code: 54449). Swimmers like you reported 25 yards, 6 lanes, Indoors. Unfortunately we do not have the email address of this Swimming Pool, but we can provide you with the phone number. Updated on 2019 10 Circle Drive , Seymour , WI , USA (Postal Code: 54165). Swimmers like you reported 25 yards, 6 lanes, Indoors. Unfortunately we do not have the email address of this Swimming Pool, but we can give you the phone number. Updated on 2019 This sports center offers 20 yards x 32 feet, Indoors. For this Swimming Pool, only phone number is number here. Updated on 2019 9 N. 21st St. , Superior , WI , USA (Postal Code: 54880). Among all the activities offered by the center, for anyone who is thinking about swimming you can enjoy 25 yards, 4 lanes, Indoors. Just in case you want to get in touch with this Swimming Pool just before dropping by, we only know the phone number. Updated on 2019 1740 South Huron Road , Green Bay , WI , USA (Postal Code: 54311). Swimmers like you reported 25 yards, 4 lanes, 3.5f - 5 feet depth, Indoors. Unfortunately we do not have the email address of this Swimming Pool, but we can give you the phone number. Updated on 2019 315 Broad Street , Bayfield , WI , USA (Postal Code: 54814). Swimmers like you reported 25 meters, Indoors. Unfortunately we do not have the e-mail address of this Swimming Pool, but we can provide you with the phone number. Updated on 2019 711 Cottage Grove Rd. , Madison , WI , USA (Postal Code: 53716). Among all the activities supplied by the center, if you are keen on swimming you will enjoy 25 yards, 8 lanes, Indoors. Just in case you would like to contact this Swimming Pool just before dropping by, we only know the phone number. Updated on 2019 S2845 White Eagle Road , Wisconsin Dells , WI , USA (Postal Code: 53913). Swimmers like you reported 25 yards, 6 lanes, 3.5 feet - 9.5 feet depth, Indoors. Unfortunately we do not have the email address of this Swimming Pool, but we can give you the phone number.